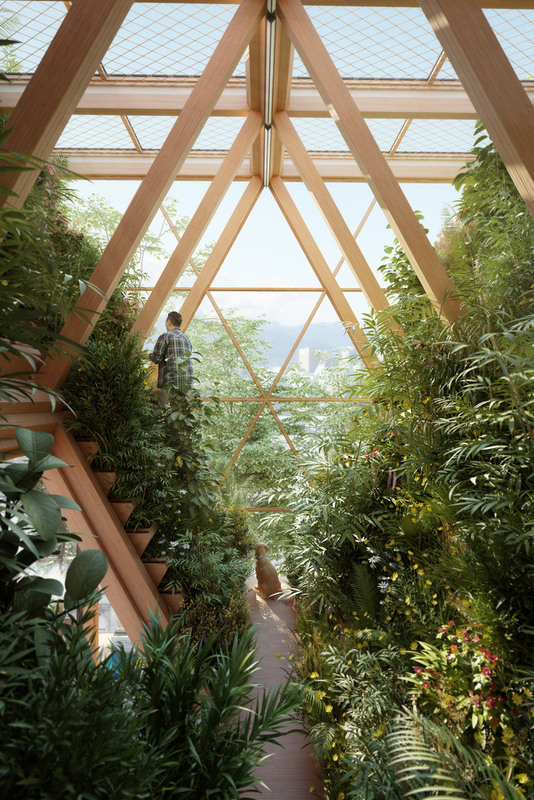 Architecture practice Precht, created by Penda co-founder Chris Precht and his wife Fei, has designed a skyscraper concept that would see residents produce their own food in vertical farms. 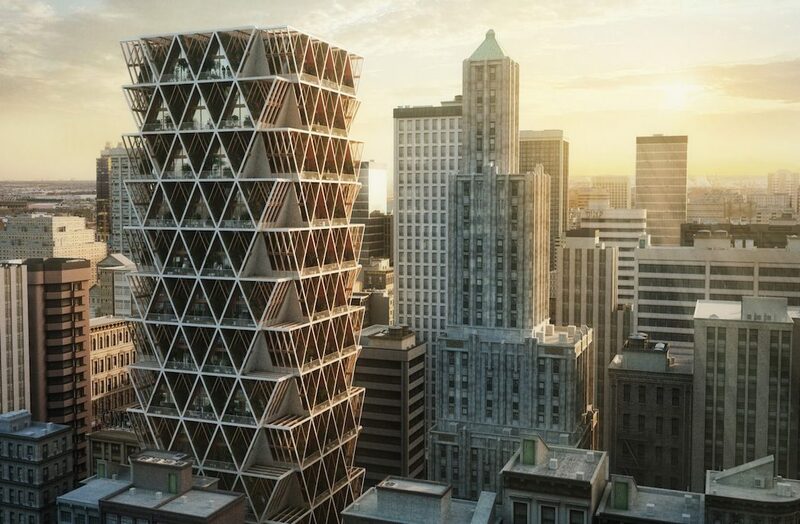 Called The Farmhouse Precht designed the modular building system to combat the combined issues of climate change, population growth, and food shortages. 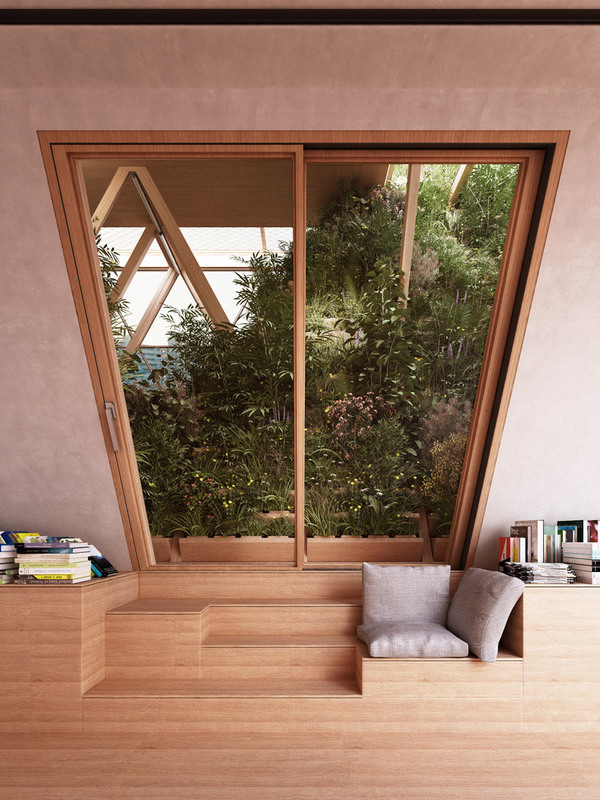 It aims to create more sustainable ways of living as city dwellers are increasingly losing touch with food production. 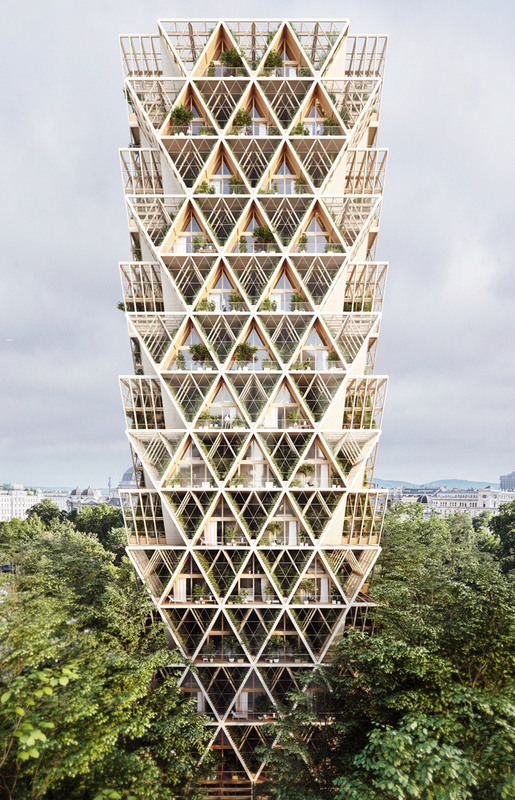 “I think we miss this physical and mental connection with nature, and this project could be a catalyst to reconnect ourselves with the life-cycle of our environment,” says Chris Precht. 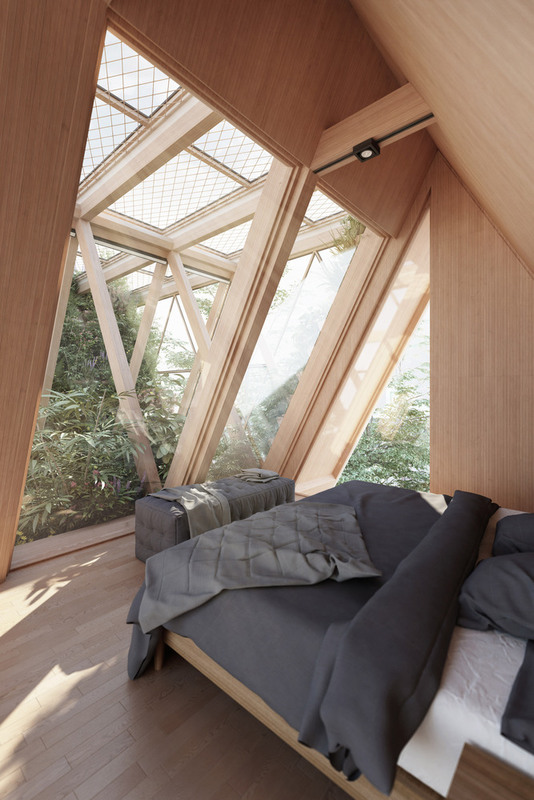 Prefabricated A-frame housing modules made from cross-laminated timber (CLT) would be stacked to provide flexible living spaces. Among many benefits, CLT has a lower environmental footprint than steel, concrete or cement. 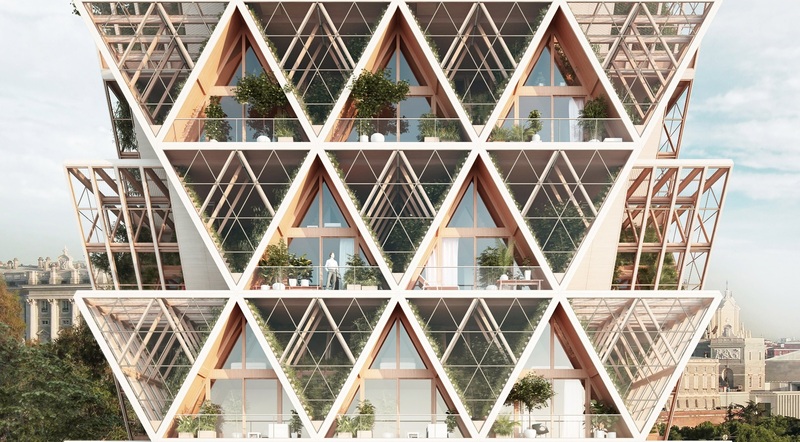 The panels would be prefabricated off-site, flat-packed, delivered by trucks, and then assembled in the structure of traditional A-frame houses to create a diagrid. Each of the module’s walls would consist of three layers: an inner layer, facing the home interior, would hold the electricity and pipes with the surface finishes, while a layer of structure and insulation would form the middle layer. The outside layer would hold all the gardening elements and water supply. 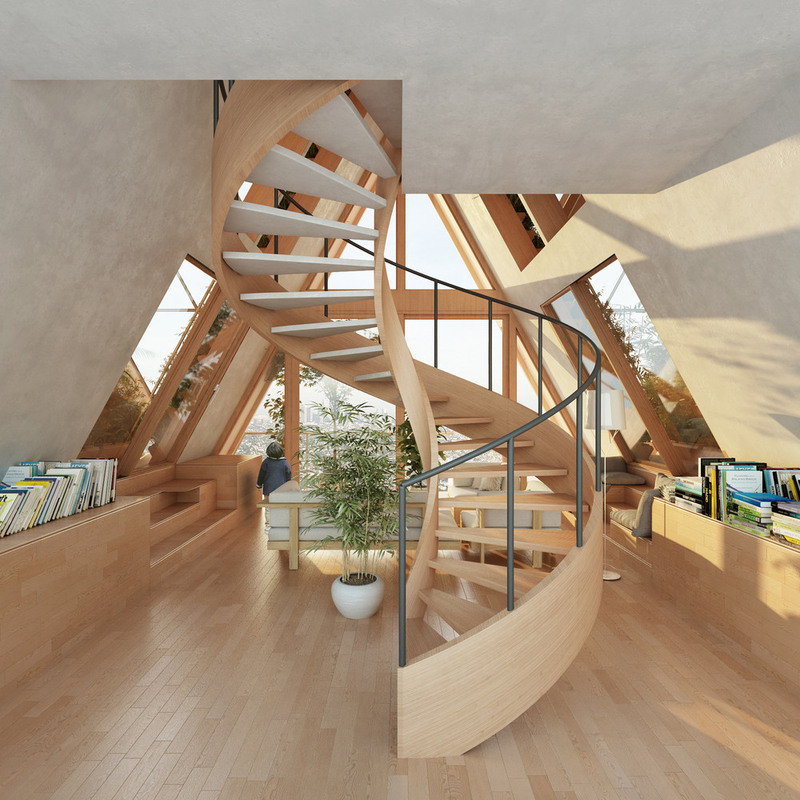 Precht created the concept so that single-family users could build their own homes. Each duplex would have an open plan living and kitchen space on the ground floor, with tent-shaped bedrooms on the upper floors. On the outer edges, residences could also have balconies. 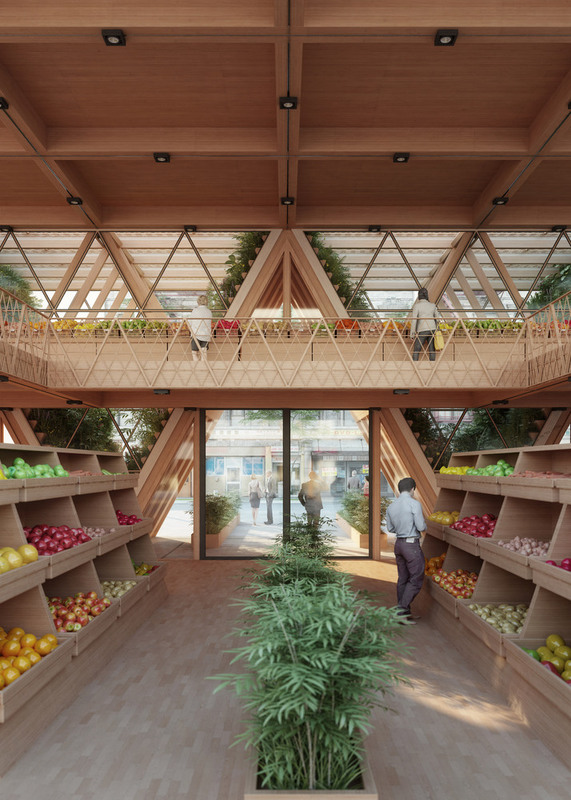 An indoor food market would be located on the ground floor of the tower, along with a root cellar for storing food in winter and composting units for turning food waste back into growing material.